When you visit East Vancouver’s neighbourhoods, you’ll sense a feeling of authenticity that you won’t find anywhere else. Each of these neighbourhoods come with their own quaint characteristics and there’s always something new waiting around the corner. Buying East Vancouver real estate is an incredibly exciting experience. Whether you’re a first-time homebuyer in BC or you’re looking to buy an investment property, you’ll be itching to check out what each area has to offer. 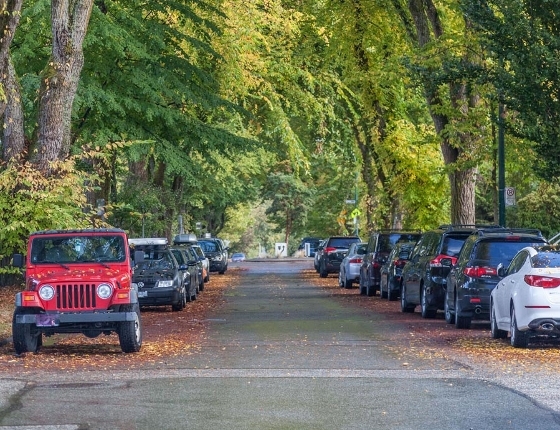 To point you in the right direction, we’ve created a list of popular neighbourhoods within the East Vancouver real estate market that you need to visit. Tour a quiet neighbourhood in the heart of East Vancouver with a Vancouver Real Estate agent. This neighbourhood is lined with character homes, lush green parks and some of Vancouver’s best restaurants. The Paul Eviston realty team can equip you with one of our talented Vancouver real estate agents – all of whom are extremely familiar with the Fraser neighbourhood. This area lends itself to cycling lovers since it offers plenty of bike paths that make it simple to visit wherever you’d like to go. And let’s not forget about the area’s Cedar Cottage that offers a warm residential environment. Here, you’ll find an elementary school that’s consistently rated as one of the best in the city! So whether you’re a couple or a family that’s looking for some of the best Vancouver homes for sale – this area might just be your perfect place. The revitalization of the Hastings neighbourhood has made it a key player in the renewal of Vancouver’s Eastside. This means it offers some of the trendiest new Vancouver houses for sale, not to mention some of the best food in the city. When our realtor leads you to some of the area’s best condos for sale in Vancouver, you’ll get to soak up the neighbourhood’s bold antiquity and heritage that’s etched in the sidewalks and buildings. You’ll gain access to some of the most important priorities on your dream home list: Green space, easy access to transit, new amenities and much more. Also known as ‘Grandview’ and ‘The Drive,’ the Commercial Drive neighbourhood is iconic to Vancouverites and all those who visit. Whether you’re looking for a condo in Vancouver or you’re just looking to browse an open house, we can assign you with a Paul Eviston Vancouver real estate agent who knows the area best. The homes here are truly eclectic, whether they’ve been around for years or they’ve recently popped up. The area is coveted for its convenient location as it’s close to the SkyTrain, boasts a multicultural community, offers a wide selection of restaurant options and of course – amazing coffee. We’ve got the latest on Commercial Drive’s Vancouver condos for sale, so contact a talented Vancouver realtor of ours to get the latest. Have any questions about East Vancouver real estate? Don’t be shy and give us a call – we love to talk! You can contact us at 604-737-8865 or by simply filling out our online contact form. Our REMAX Vancouver team specializes in Downtown Vancouver, East Vancouver, and Westside Vancouver real estate.